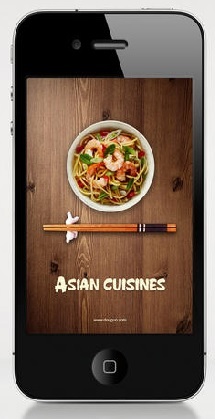 Asian Cuisines: Eastern Culinary Adventures on iTunes! 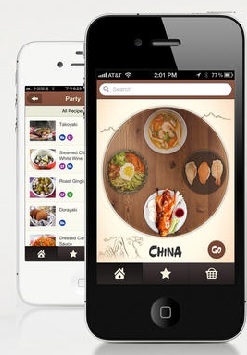 Asian Cuisines, a new app from Douguo, Inc. aims to introduce adventurous cooks to simple, healthy, and authentic Asian fare. Using the touch screen, the user rotates the table, until the desired option is centered and labeled. Once chosen, Asian cuisine recipes from each category can be filtered for special needs like lower fat, lack of meat products, and high fiber. The interface manages to be both simple and powerful, allowing the user to navigate quickly and intuitively, while still utilizing great features like an on board shopping list and email sharing option. New recipes can be a daunting prospect, and doubly so if the dish in question comes from a culture one’s not familiar with. Anyone who’s tried looking up a random restaurant dish online has experienced this at some point. “Simmer until done,” it might say. How do you know when it’s done? Well, Asian Cuisines doesn’t make those kinds of assumptions, thankfully. Ambiguity is off the menu and clarity is the soup of the day! Speaking of ambiguity, cooks willing to go out on a limb can sometimes end up wondering “Is that what it’s supposed to look like?” when the kitchen timer goes off. Perhaps one of Asian Cuisines best features is one of its simplest: beautiful photo-illustrations. They come in handy when you’re browsing for a recipe but aren’t sure what you want, too. While the names of the dishes are simple and descriptive, a photo can do more for your appetite and sense of anticipation. The integrated shopping list and email sharing features are invaluable as well. The one gripe this wannabe-chef has with the app is its system of measurement. While precise, the metric measurements are utterly unfamiliar to American cooks who decide to use the app, so I’m hoping that Douguo, Inc. includes conversion to dry measures, ounces, and cups in the future. After converting, however, the recipes were a breeze. And we really can’t conclude the review without covering—the recipes themselves! The collection is truly mouth-watering, even though I was unfamiliar with many of the dishes. These are not recipes from your downtown Chinese takeout joint. Sauteed lotus root is certainly going to impress your friends—but it’s a simple three-step process! Pumpkin soup with sesame is another eye-catching (and tastebud seducing) choice that defines elegance and simplicity. Asian Cuisines will even hold your hand through creating your very own homemade sushi. There are special menus available for formal dinner parties and casual get-togethers in addition to the every-day quick and easy options, too. For anyone willing to try new things, looking for fast, easy, and/or healthy recipes, or just wanting to explore Asian cuisine in the comfort of their own home, Asian Cuisines is a perfect choice. It’s now available for only $3.99 in the iTunes App store! 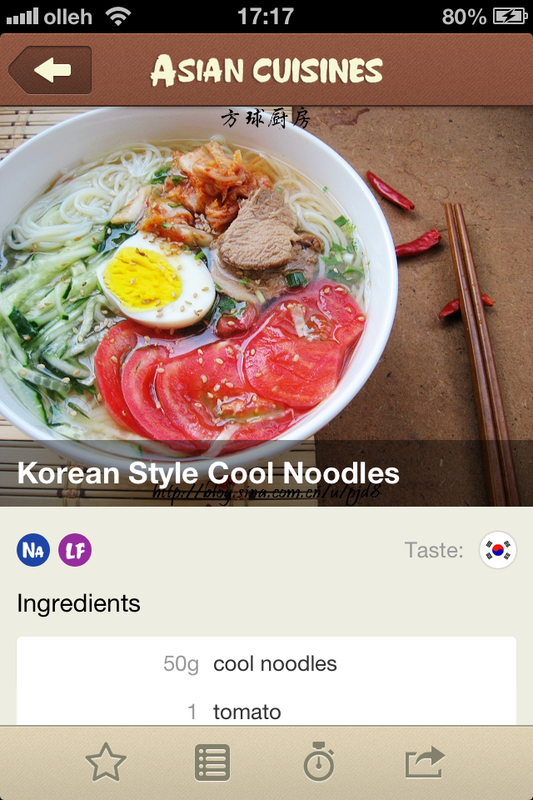 PreviousBanchan: Promoting Traditional Korean… Milk?